Being sick the full week before Easter really throws off the whole holiday. We didn’t get a chance to dye our eggs and I didn’t get to finish the Easter Bunny’s baskets, or clean the house, or cut the grass… Luckily my friend Patsy came to the rescue and invited us to spend Easter with her family and it turned out great. Who cares if we have a bowl full of white boiled eggs in our fridge. 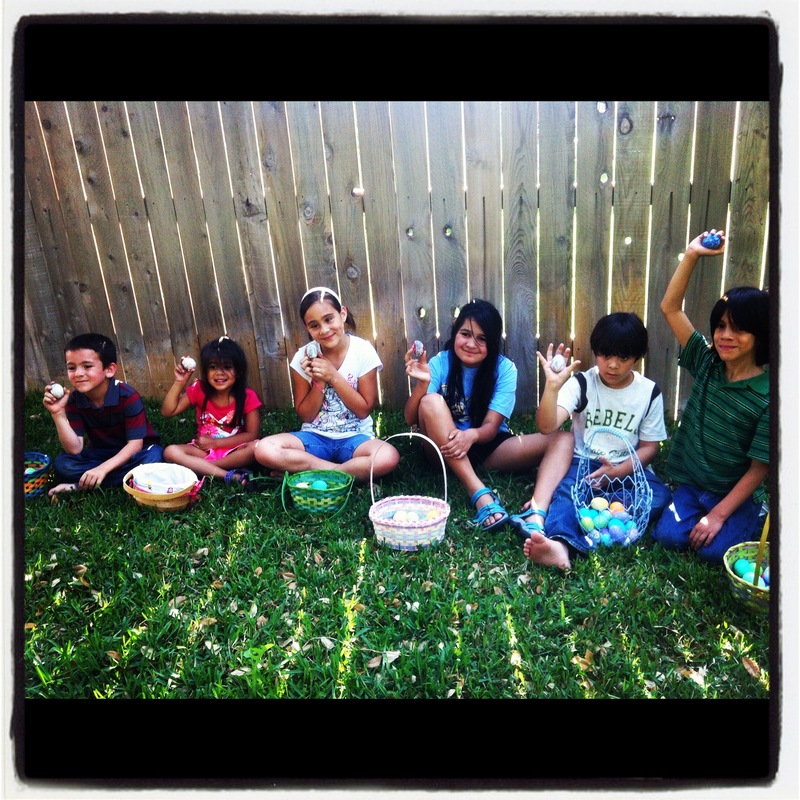 Patsy’s family colored enough eggs for everybody. We threw in some plastic eggs filled with chocolate for our part. 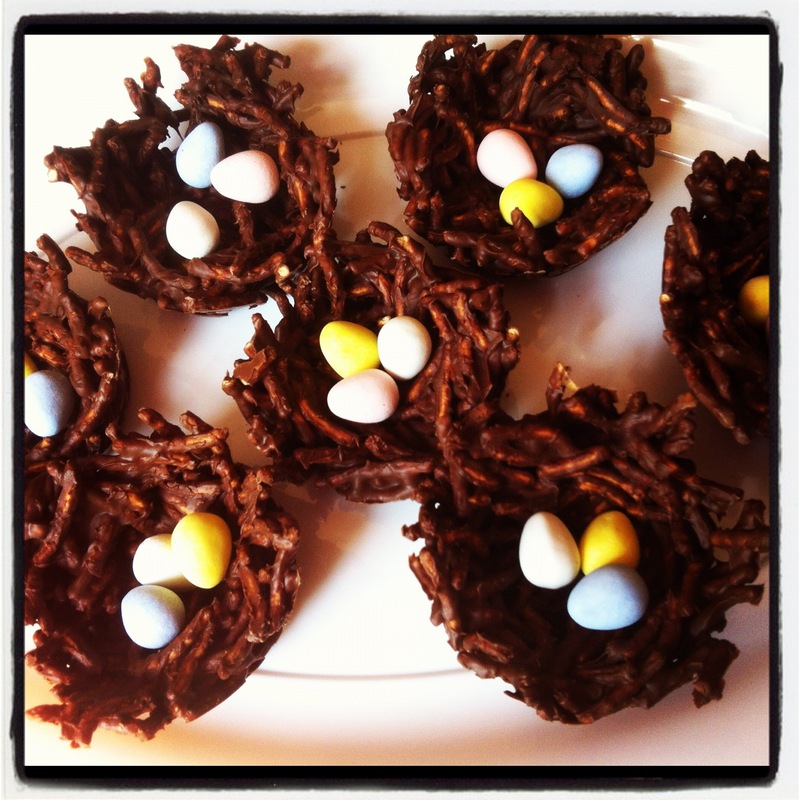 Chocolate bird nests my husband and I made for the party. Thank you Pinterest! Not one of my own kids, but I like the action in this picture. We had 80-some eggs and they were found in minutes. 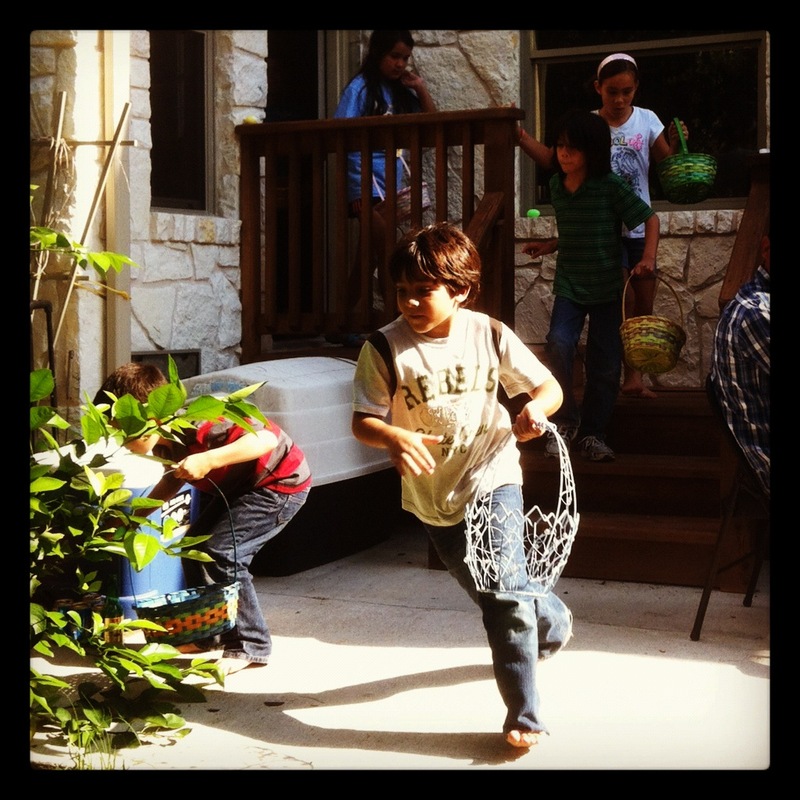 This entry was posted in Instagram, Parenting, Project 366 and tagged bird nests, chocolate, Easter, egg, eggs, hunt, pinterest. Bookmark the permalink.